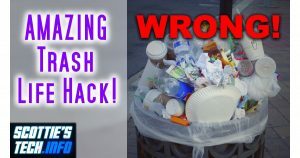 You’re throwing things away wrong! Everyone likes to throw things away. But nobody likes the sight of an overflowing trash or recycling bin, and even fewer people like to take out the trash. 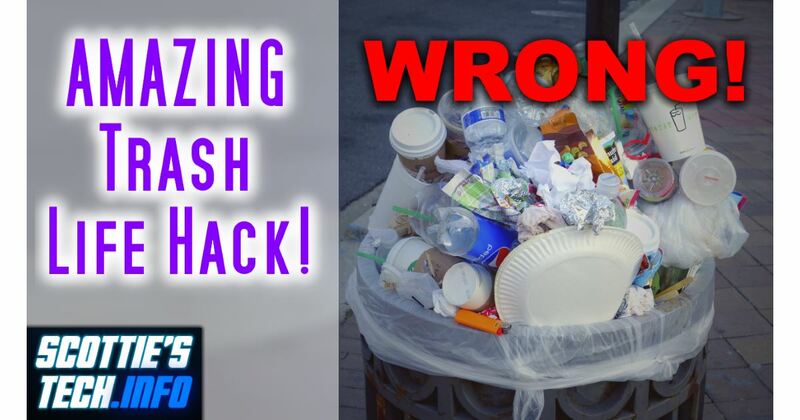 What if I were to tell you that with a simple Life Hack, you could save bin space and time? What would you pay for such a hack? $19.99? $49.99? $199.99? $1,999,999.99? Well, watch this vid for FREE… and BE AMAZED! Seriously, the fact that I even had to make this video makes me want to cry. But frankly, it’s needed. ← You’re using your Extension Cord Reel wrong!